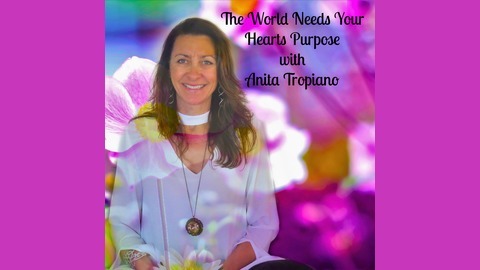 Anita Tropiano is a passionate advocate for the inner transformation available to us through the refinement of our mind and heart, so they may become one and allow the embodiment of our soul’s higher purpose and its unique gifts to shine through. We all have gifts to share and when we unleash them from a deep connection to the heart and align them with the mind into a higher purpose, the possibilities to experience connection, joy and fulfilment are infinite. Through the wisdom of storytelling and meditation this podcast offers the listener an expansion in awareness and self realisation from experience related to life, the heart, our purpose and the roadblocks we face everyday to step into what we know to be true. Conversations will flow in relation to the magic of our heart and its purpose as the greatest untapped resource, how we create our own reality and much more. Anita's personal journey began after asking " Who am I" at the age of fourteen, which led to the practise of meditation, eventually opening up a doorway to understand the truth about life, how we create our own reality and ultimately joy comes from shedding who we think we are and embodying who we really are ~ love and light~ with a higher purpose to serve from the power of the heart. Anita studied Holistic Counselling and Mind Body Medicine is a Coach U graduate, Mentor, Teacher of inner transformation through meditation and Presenter of transformational workshops. Her passion is to use this platform as a vehicle to expand awareness around the true purpose of our heart and the mind. Join Anita and her special guests to truly experience the new paradigm arising first hand. 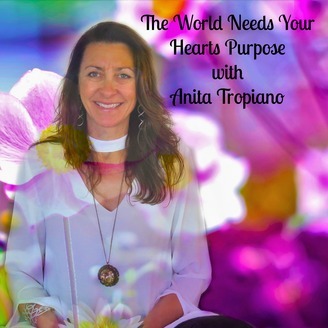 Where we have the wisdom and ability to consciously create our own reality, direct our power from the inner heart and create a life changing ripple effect in the home our community and the world. An introduction to the meditation revealing "How we create our own reality"In episode 2 we discussed happiness comes from within and how it is powerfully aligned with our ability to create our own reality. After releasing this episode I was asked to create a meditation so the experience could be deepened. Enjoy it as much as I did creating it!